Let me just say this took way too long to do. It came out better than I expected. Thank you for all you have done for me. I know that somewhere halfway (or close to) around the world from me, someone cares about my art, and like it. I wrote stuff to you when I came back from being without my laptop and then you drew (smutty sonadow...*drool*) when you checked your inbox. You are an amazing person and inspired me to strive, you dear, are an amazing artist, writer, and most importently my friend. 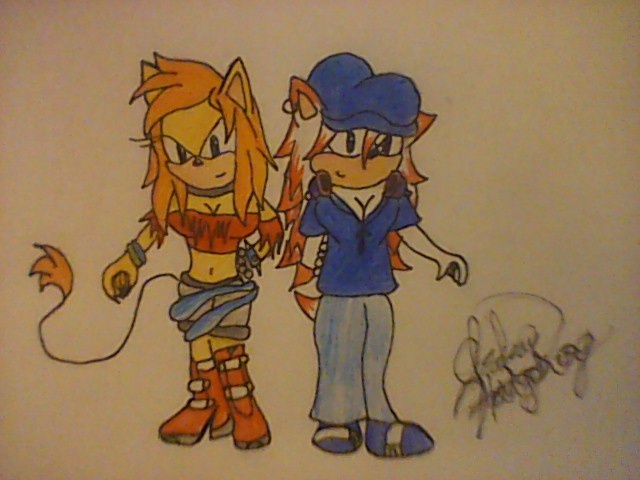 I had fun drawing your sonic fursona, and will probally do it more often. Talk to you soon. Did you see the Sonic.exe pic? Thank you for your kind words. I just got up, and I'm glad being lazy ment this gets to be the first thing I see this morning. I heard you went to a science thing? How did it go? And just to reassure myself, are you on dA more than here?